Big Money Behind Climate Change Denial - Planet Aid, Inc.
A new study from Drexel University environmental sociologist Robert J. Brulle, PhD, points to nefarious sources of funding behind attempts to discredit climate change. The study results were published in Climate Change, and reported in the online journal EcoNews. 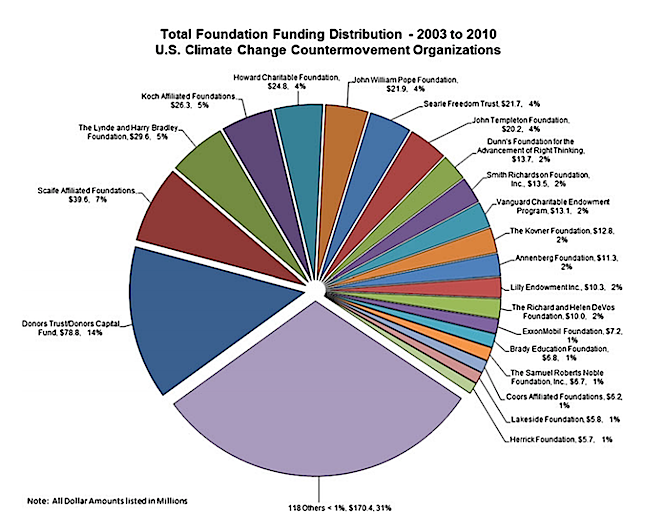 Brulle found that while many well-known conservative foundations were behind the climate change countermovement; however, the majority of donation sources could not be traced (which he labels “dark money”). Read more about the politics of climate change by downloading "The Global Politics of CO2". You can also read this and other articles in the climate change issue of the Planet Aid Post.